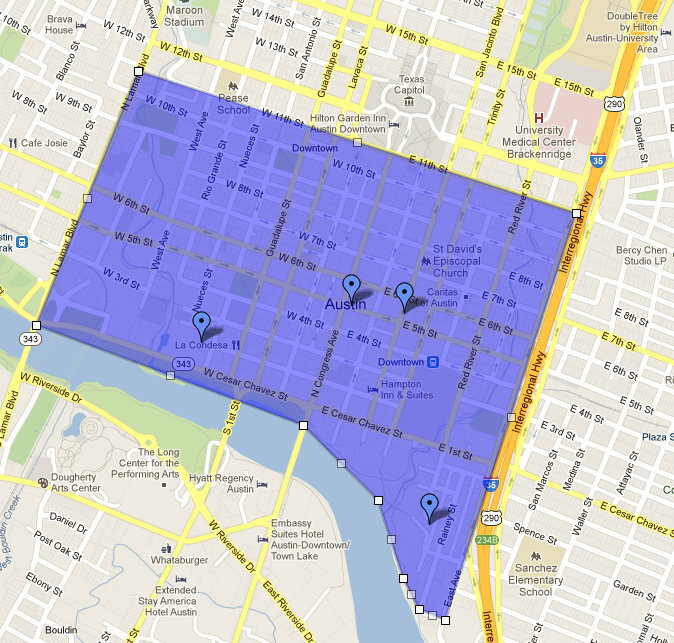 This month, we’re putting the spotlight on downtown Austin, the neighborhood right in the thick of it all! This week, we’ll be taking a look at some of the dining, entertainment, and shopping options available in downtown, although it would take a book to cover all of them! Want amazing food, an incredible wine selection, and more people watching than you can shake a stick at? Then park your bottom at one of the outside tables at Mulberry located in the 2nd street district right across from the Austin Music Hall. Want to taste heaven on a plate? Try the Devils on Horseback. Or just about anything else on the menu. Using locally sourced ingredients, Mulberry elevates food to a whole new level. Feeling more in the mood for Mexican? Manuel’s on Congress is a great choice. Whether you want amazing Chicken Tortilla soup or sizzling hot fajitas, Manuel’s has fresh, delicious Mexican food to please everyone in your group. Parkside has oysters that are so tasty you’ll close your eyes and swear you can smell the saltwater. Located in the heart of Sixth Street, Parkside is an oasis from the shotbars and t-shirt shops that line the avenue. Inventive dishes and expertly prepared cocktails are the order of the day at Parkside. Insider tip: From 5-6:30 every weekday, INCLUDING Fridays, Parkside becomes a completely affordable meal when the bar menu and all cocktails and beer are half-price. Try the burger, it is out of this world. For entertainment, you can’t get more classic Austin than Esther’s Follies, the comedic sketch show that’s been lovingly skewering Austin, Texas, and even the nation for 36 years. Located at 6th and Red River, in the “Fishbowl” with all the windows, even the passerby become part of the magic at Esther’s. The Hideout Theater is in the middle of everything on Congress and offers a variety of improv acts, as well as coffee, beer, wine and pastries. There’s an open mike night, improv for kids, and occasional scripted work as well. There’s definitely something for everyone at the Hideout! Need some new duds? Thanks mostly to the 2nd Street District, downtown is crawling with hip boutiques ready to help you (or your home) get decked out to the nines. From unique national retailers like Urban Outfitters, an eclectic store with quirky finds for your home and your wardrobe, and local sources of treasures like Mercury Design Studio, which specializes in hand-picked objects from around the world for your home and for gifts, there’s something for everyone. Want to find interesting high-end furniture and accessories for your home? Design Within Reach and Bo Concept both have outposts of their modern design stores in the 2nd Street District. Your downtown loft never looked better with the sleek, clean lines of the couches, chairs, tables and carefully curated brick-a-brack in both of these stores. Looking for an apartment downtown? Apartment Specialists can help with our knowledge of vacancies, move-in specials and amenities at all the downtown apartments. Give us a call today at 512-241-1111! This month, we’ll be spotlighting Downtown Austin, Texas. The heart of the city, the Downtown Austin neighborhood stretches from Lamar Boulevard to the West, I-35 to the East, 11th Street to the North and Lady Bird Lake to the South. 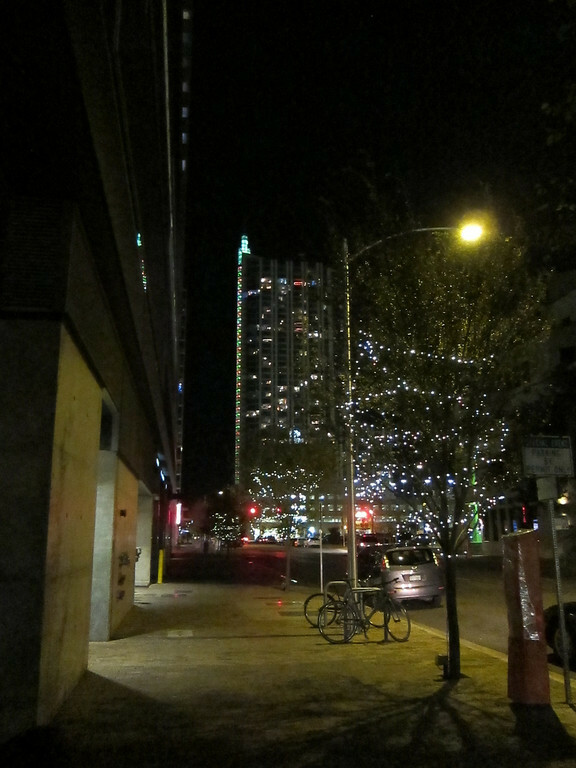 Downtown Austin is a popular destination for work, play and nightlife. 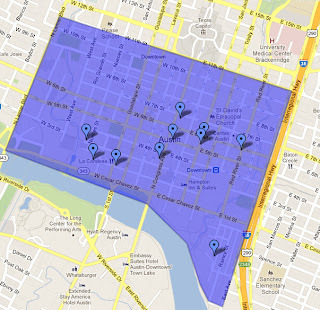 Downtown Austin is home to several different districts, each with their own distinct flavors. 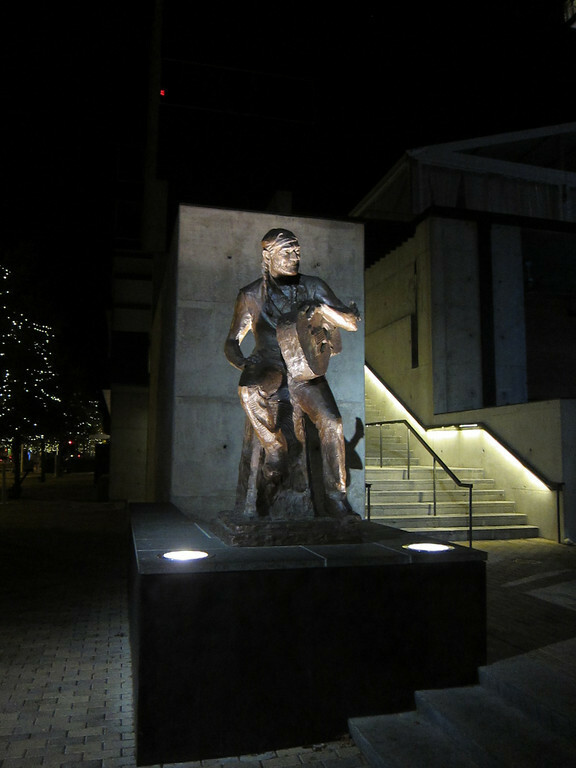 Congress Avenue was designed by the first Mayor of Austin, Edwin Waller, to be the city’s most prominent street. As one of the widest avenues in town, it offers a dramatic and breathtaking view of the Capitol, which tourists still consider a “must have” shot today. Sixth Street is Austin’s famous entertainment and shopping district comprised of historic buildings converted to restaurants, bars, shops and even offices. Sixth Street is shut down between I-35 and Congress Avenue each weekend and fills with tourists and locals looking for cheap drinks and colorful nightlife. Special events like SXSW, the Pecan Street Festival, and the Republic of Texas Bike Rally all take over the Sixth Street District at various times of the year. The Second Street District, just north of Lady Bird Lake and bordered by Colorado and San Antonio Streets, is a popular destination for gourmet high end dining and shopping. Anchored by the W Hotel and Residences and the Moody Theater, home to Austin City Limits, this area really brings a big city feel to our little town. It’s a must-stroll around Christmas time, when several of the store windows are transformed into Holiday Displays. Rainey Street, just south of downtown and north of Lady Bird Lake, has recently undergone a transformation from a street full of derelict old bungalows, to Bar and Restaurant Row. Many of the old houses have been completely transformed into restaurants and bars with beautiful, large patios and outdoor seating areas. 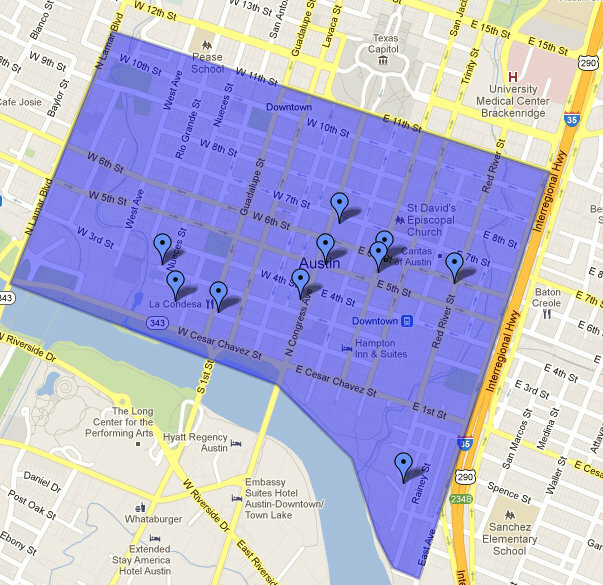 Looking for an apartment in Downtown Austin? Austin Apartment Specialists can help with our extensive knowledge of vacancies, move-in specials and amenities at all the best Downtown Addresses. Call us today at 512-241-1111! 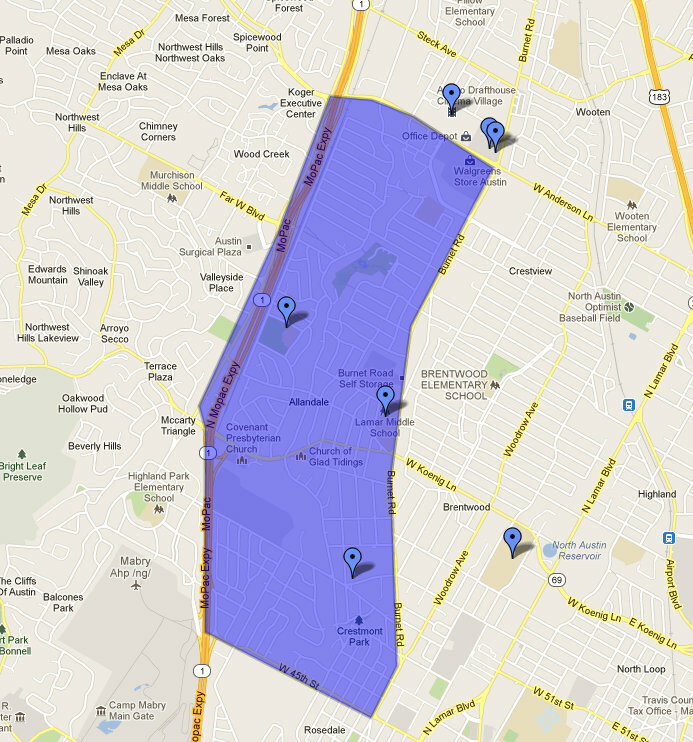 This month, we’re spotlighting the Allandale Neighborhood of Austin, Texas. This week, we’re taking a look at the Schools and Employers in and around this North Austin neighborhood. The elementary school for Allandale is the Exemplary Rated Gullett Elementary, whose mascot is the Geckos. Students in grades six through eight attend Lamar Middle School, a Fine Arts Academy whose mascot is the Scotties. The high school is McCallum High School and their mascot is the Knights. Students from across the district come to McCallum's magnet program to study music, dance, theatre, and visual arts. Allandale’s convenient location less than fifteen minutes from downtown with easy access to Mopac, 183 and Highway 360 makes commuting to area employers easy. St. David’s North Austin Medical Center is just ten minutes from Allandale and employs people in roles from doctors to nurses to administrative staff. St. David’s was the first Health System in the state to be named “Texas Employer of the Year” by the Texas Workforce Commission. Allandale is also less than ten minutes from IBM’s headquarters on North Burnet Road. IBM is one of the world’s largest manufacturers and sellers of computer hardware and software. IBM offers infrastructure, hosting and consulting services in areas ranging from mainframe computers to nanotechnology. IBM employs about 6,000 people at its Austin location, but has over 400,000 employees worldwide. Looking for an apartment in Allandale? Apartment Specialists can help with our extensive knowledge of the vacancies, move-in specials and amenities at all the best Allandale addresses. Call us at 512-241-1111 today!